Apple has allegedly reached a tentative agreement with China UnionPay, which could see Apple Pay come to China via UnionPay's 5 million or more NFC-equipped point-of-sale terminals. Exact terms have yet to be sealed because the companies are waiting for input from card-issuing banks, sources told Bloomberg on Wednesday. Indeed no deals have been signed with any local banks, and some of them are reportedly worried about Apple Pay's fees, as well as its relatively low number of users. In the U.S., only about 1 percent of retail transactions are handled through the service, according to research cited by Bloomberg. Apple is meanwhile believed to charge a 0.15 percent fee per transaction —while U.S. merchants generally pay 2 percent in total fees, Chinese merchants are accustomed to paying as little as 0.38 percent. Assuming everything goes smoothly however, UnionPay could help launch Apple Pay as soon as 2016, providing competition for current mobile payment players Alibaba and Tencent. Alibaba controls 83 percent of the Chinese market. 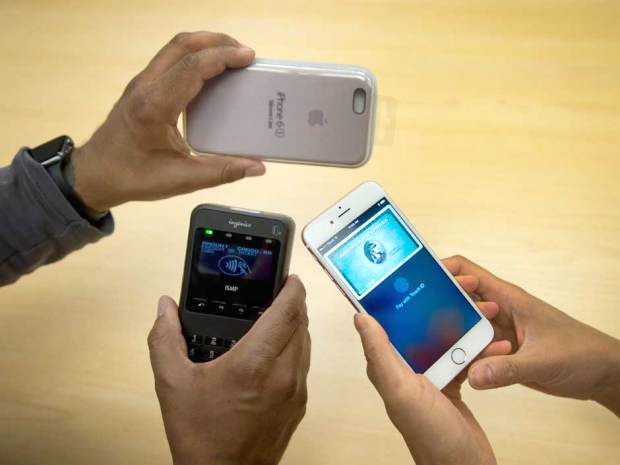 The claims come just days after reports said that Apple Pay could hit China in February 2016. The Wall Street Journal said that Apple has reached deals with four state-run banks, possibly contradicting Bloomberg's acccount. The Chinese market is essential for Apple as one of its strongest sectors of growth, poised to eventually eclipse the U.S. The iPhone moreover enjoys strong popularity in the country, which could make it a prime target for Apple Pay so long as enough banks and merchants support it.